Use dry to attract dirt, microparticles and allergens. 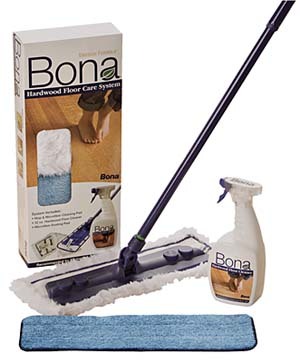 Use wet with Bona’s Cleaners for effective, non-toxic cleaning. Machine washable over 300 times. Fits the 4″ X 15″ mop head. 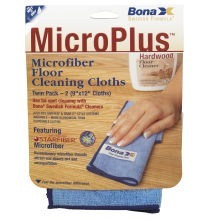 The Microfiber Cleaning Pad’s electrostatic action attracts and traps dirt, allergens and dest when used dry. It absorbs spills and removes tough stains. 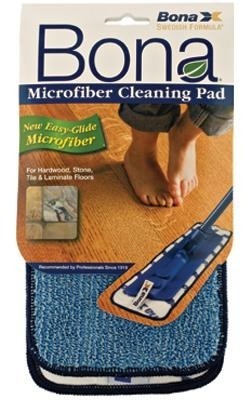 Use Bona high quality non-toxic cleaners with the Microfiber Cleaning Pad to create the ultimate care for your floors. It is more economical and environmentally friendly than disposable systems.